You can check out all of out Trustpilot reviews here, where we score an ‘Excellent’ rating of 9.2/10! 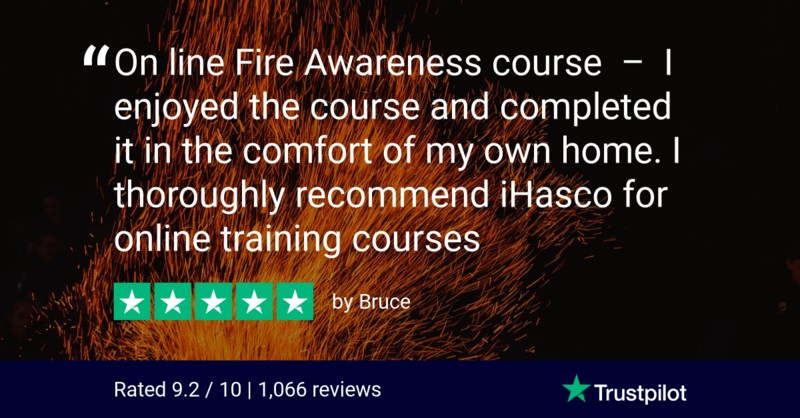 What makes our Fire Awareness Training the best around? Our course is split into 5 easy-to-follow sections that can all be completed in just 30 minutes. Our graphics, animations and tests keep learners focused throughout and you can rest assured knowing that you’ve supplied your staff with training that is of an IOSH Approved standard. Learners also receive certificates upon completion of the course so you can show your commitment to current legislation. This training is more than just a tick-box exercise, it engages the learner, provokes thoughts and most importantly creates a positive behavioural change! 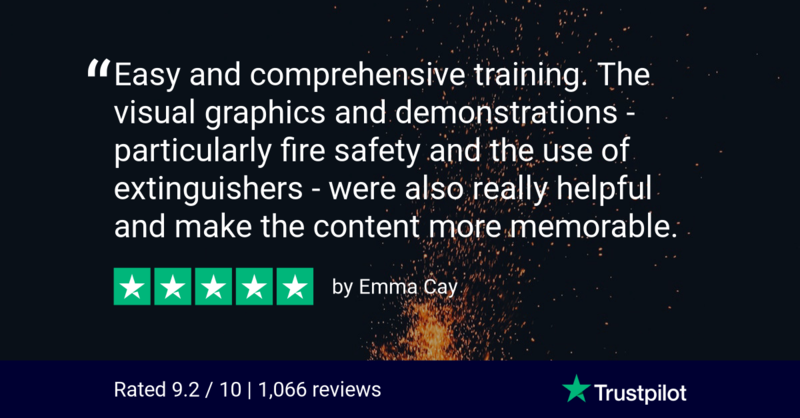 Alongside our Fire Awareness Training, we also offer IOSH Approved Fire Warden Training and 6 other fire safety courses that have been made specifically for Education, Care and Construction sectors.